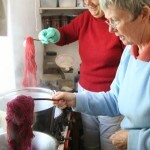 The course covers fleece and yarn scouring, hank making, mordanting, dye-extraction, dyeing, record keeping and sampling. 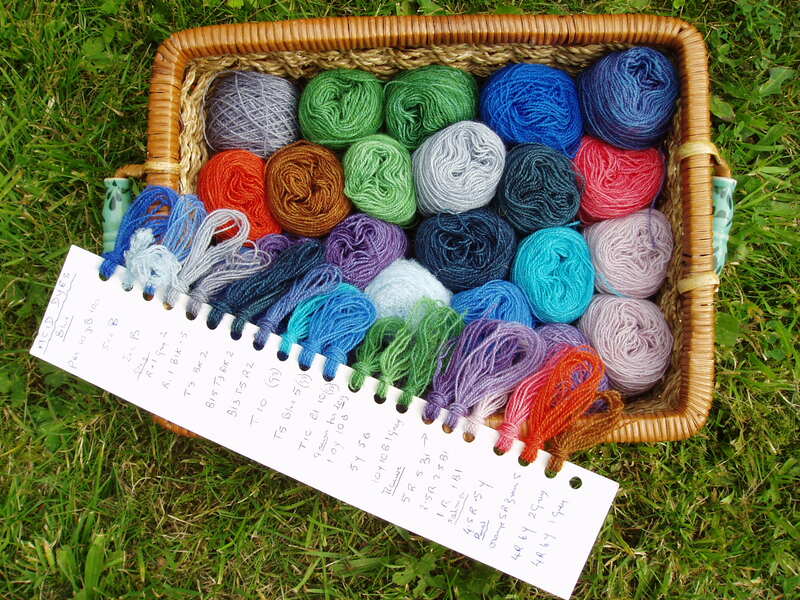 There i s a good selection of dyestuffs in the studio and students can also collect their own fresh materials from the surrounding fields and hedgerows. 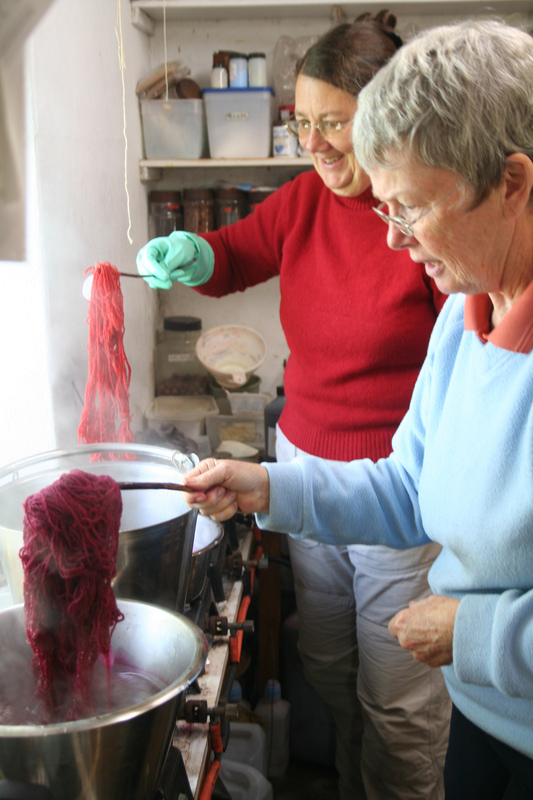 By combining historical dyes such as cochineal, weld and indigo an exciting spectrum can be created. The dye area has gas rings, spin-dryer and precision scales. Stainless steel containers are used for dyeing small quantities and a boiler for dyeing in bulk. 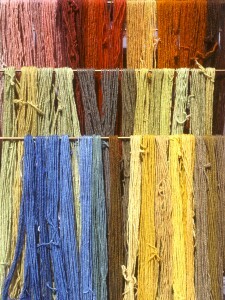 Acid and pre-metalised dyes are used for wool & silk and fibre-reactive dyes for cotton & linen. 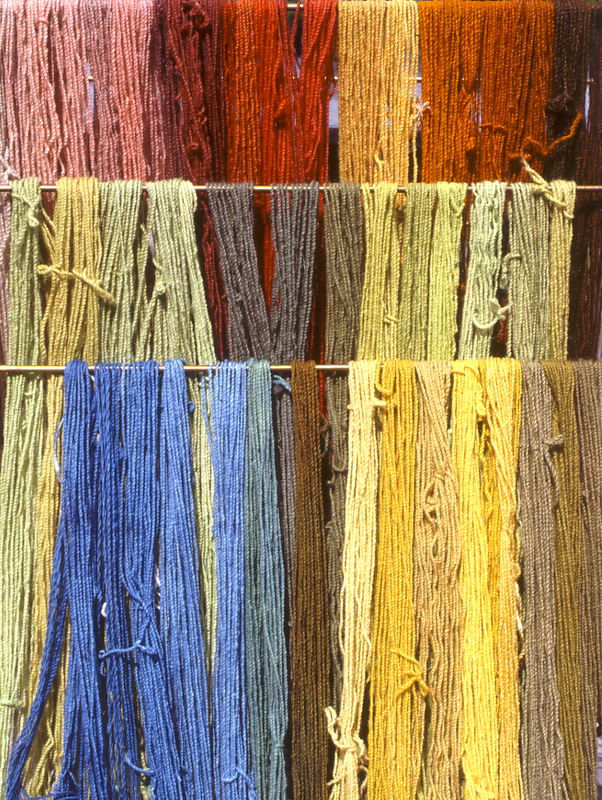 The course covers safe practice, accurate measurement, making up and using stock solutions, colour theory, creating colour mixes, tints and shades and good record-keeping. By the end of the week students will have developed a strong awareness of colour and will have assembled a set of reference samples that can be used to repeat any colour or to act as a starting point to create new colours. Control of colour widens the scope for creativity in textile design.